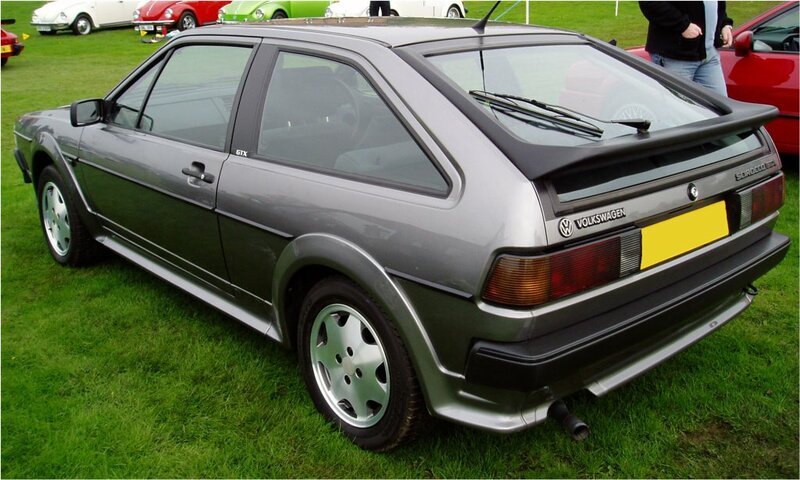 The Scirocco GTX was the range topping Scirocco when launched and replaced the GTI. 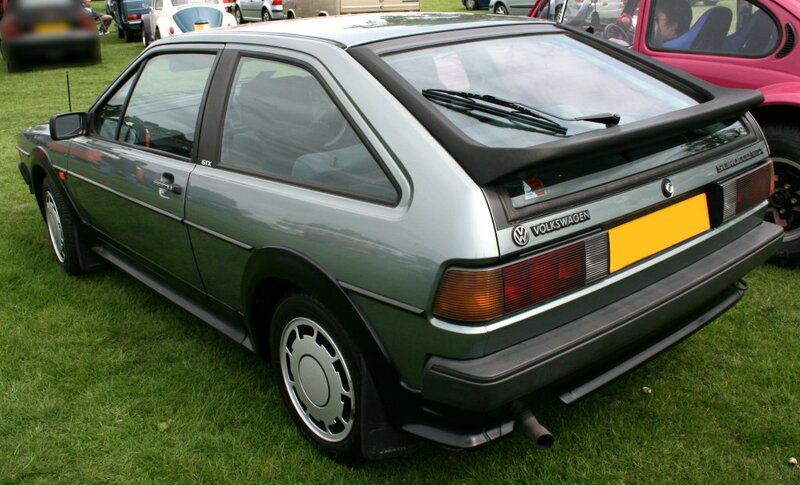 It had the DX 1.8i engine, 14″ Avus alloy wheels and sports seats, the rear seat was the split folding type. MFA and voltmeter were standard instruments. The first run of the German spec GTX had the Kamei X1 bodykit painted in body colour with a version 2 tailgate spoiler. The mid-run GTX models had the black Zender bodykit with a version 2 tailgate spoiler, later cars would receive the full size version 3. At this point the black B-pillar covering and GTX emblem were also introduced. The bodykit would also be painted body colour on the last version, although the bumpers remained black throughout GTX production. The original fitment 14″ Avus wheels gave way to Pirelli ‘P-slot’ alloys and finally Le Castellet wheels. 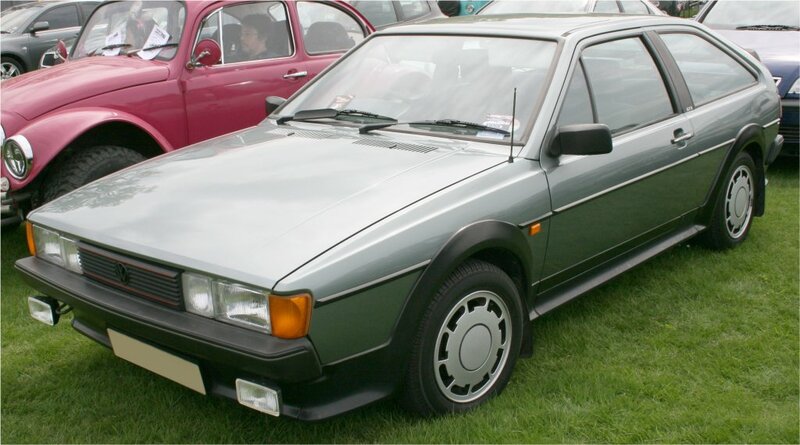 The GTX was replaced as the top model in the Scirocco range by the Scala 1.8i. Only the 1984 GTX escaped from Osnabrück with this Kamei X1 bodykit. Not sold in the UK. The early GTX had decals on the tailgate instead of plastic badges and a version 2 spoiler. 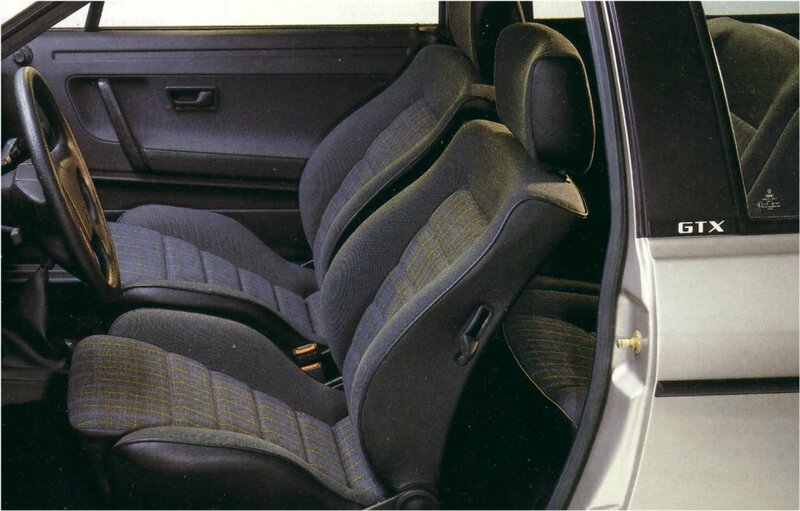 Interior of the first Scirocco GTX models. Note the lack of B-pillar badges and black covering. Black/silver ‘Großkaro’ trim, code 23. 1985 GTX with full Zender body kit, version 2 tailgate spoiler and black tail lights. 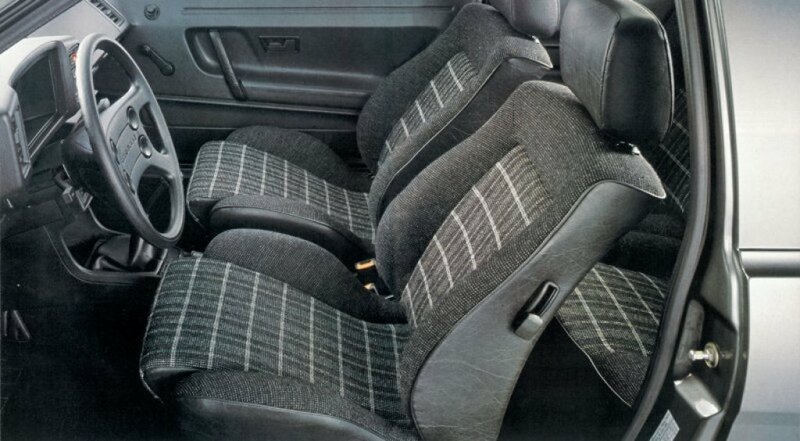 1985 GTX interior. Black/blue ‘Blockstreifen’ trim, also available in Black/red or Black/silver . The 1986 GTX came equipped with 14″ Pirelli ‘P-Slot’ wheels and a version 3 tailgate spoiler. 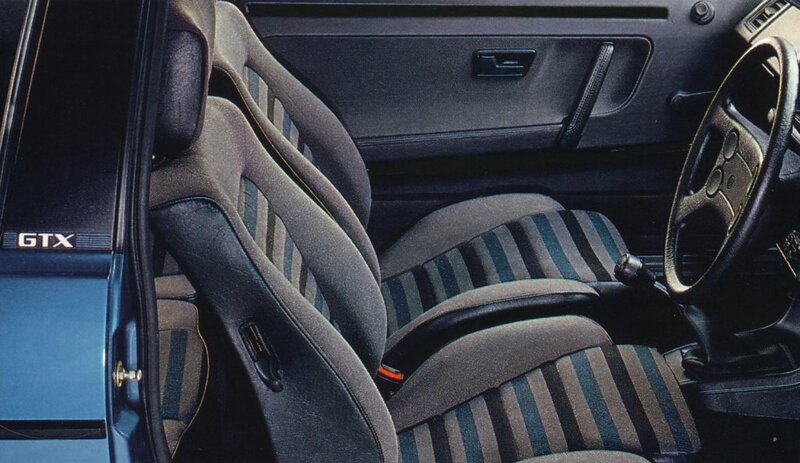 The interior remained the same as the 1985 GTX. This stunning GTX is painted Jade green metallic, code LN6V. The 1988 GTX models were again updated with Le Castellet alloys, painted bodykit and a new interior. 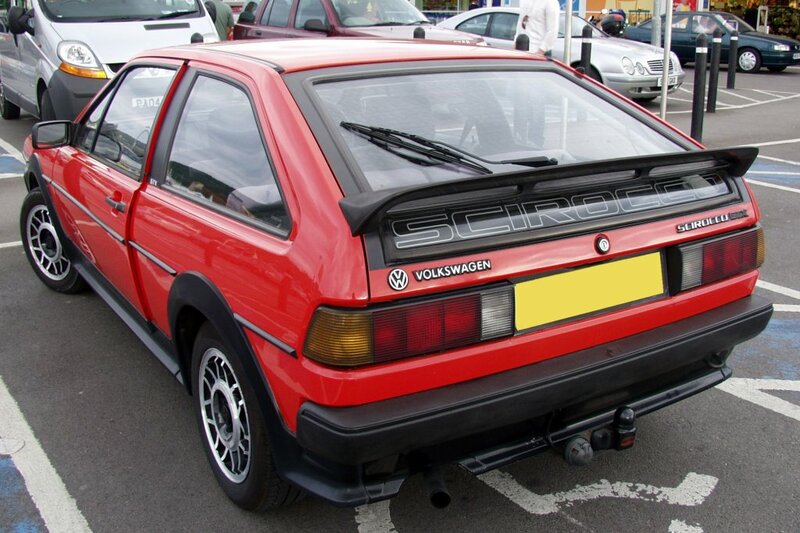 The version 3 tailgate spoiler was now standard fitment across the Scirocco range. Bee sting roof aerial is not factory fitted. 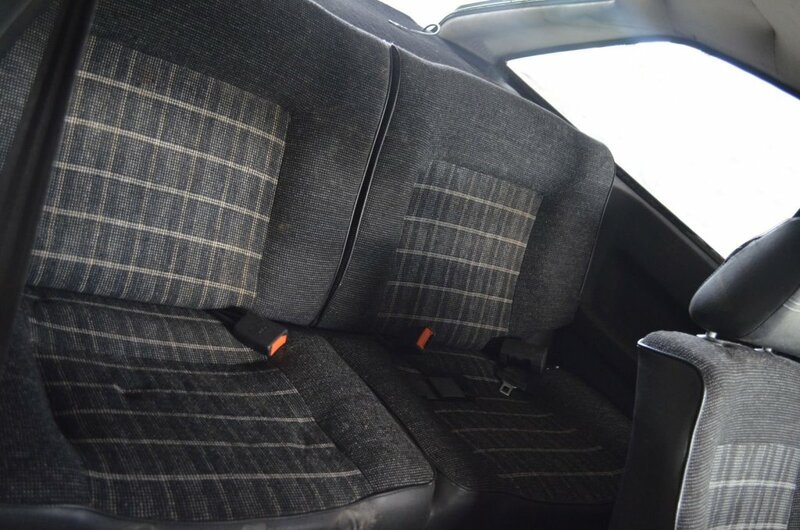 Interior of the last GTX model with ‘Sport-Karo’ trim. Can you remember the UK Scirocco GTX TV advert ? Click here. 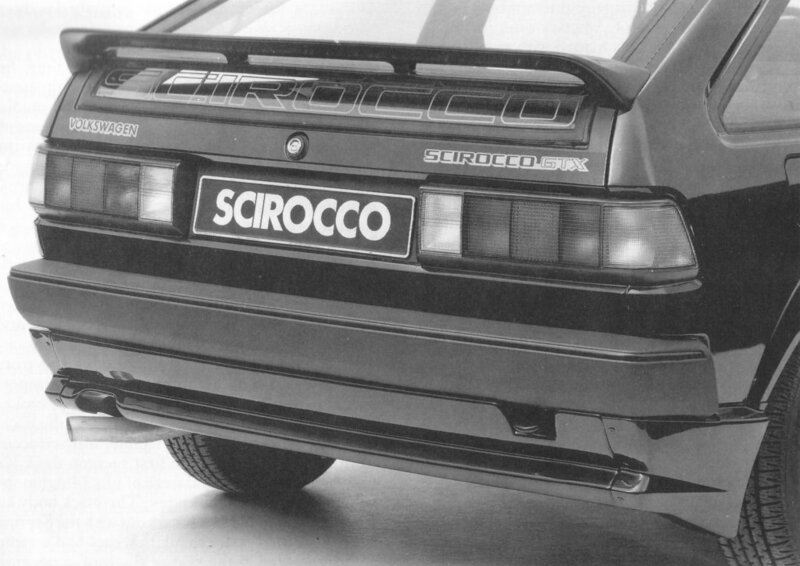 Click here for a Scirocco GTX road test article from July 1987.